The setlist for the first set is incomplete. Melt contained a Fish drum solo. 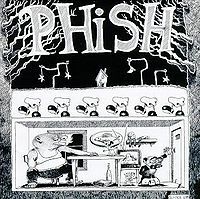 The show featured the first known performance of Fluff's Travels and the first known Phish performance of Auld Lang Syne. The opening act was Indecision. I guess this would be the second night of the New Year’s run of ’89 and another one set only recording to hear. The signal to noise ratio is terrible again with lots of tape hiss and what could be described as a boom box generation in there that only the ‘80’s can offer. Let’s just say the years have not been kind to this recording. The tape speed was also fast making the singing sound a little like the chipmunks. Anyways… Gin was ok, not the best I’ve heard, but it’s still pretty new. Melt had a drum solo in it tonight and Trey raged his solo pretty good. Another Ya Mar tonight and this one has no Leo call from Mike before Page’s solo. It doesn’t seem like anybody is ready as Trey jumps into Suzy, which was just average. Foam was not very tight tonight, but it’s a hard song to play. My Sweet One was pretty good and La Grange wasn’t too bad, but nothing outstanding from either of them. 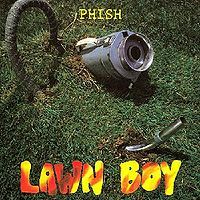 The tape speed switches to normal tuning for an ok Lawn Boy. Golgi was good and rocking for a set closer. Mike’s Groove gets the encore spot tonight and all of it was reasonably well played, although a little tired sounding. The playing wasn’t too bad overall tonight, but the recording leaves a bit to be desired so I’ll go with three stars because it’s just pretty average for an ’89 show. 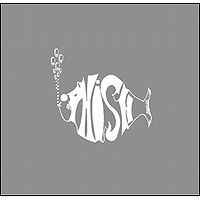 No first set on the recording, so here's the review for set 2 and the encore. Bathtub Gin is ok and has a deconstruction style jam. Split Open and Melt is a little shaky, but there is a drum solo from Fishman and the jam effectively brings the heat. The following Ya Mar is the highlight of the show for me. Leo plays a very nice solo here. Suzy Greenberg is fun and energetic. Foam has a few rough spots but is ok. My Sweet One and La Grange are good. Trey gets pretty into it during La Grange. Lawn Boy is fine. Golgi Apparatus is played well. The first Auld Lang Syne is played in a strange rhythm so that it segues into Mike's Song. Mike's Song and Hydrogen are routine. Weekapaug Groove is very nice. I definitely enjoyed the Melt and the Ya Mar, and the La Grange was pretty good, too. Other than that, pretty standard stuff, I think. 3 stars.